A combination of cherry wood walls, glazed screens and green ceramic tiles are part of Cathay Pacific’s (CX) design ethos for its new departure lounge at Manila Ninoy Aquino International Airport (NAIA) Terminal 3. Premium travellers that frequent the Philippine capital may recall that CX’s old lounge was located at Terminal 1. Following the carrier’s migration to Terminal 3 in October 2014, development of the new lounge was set in motion. 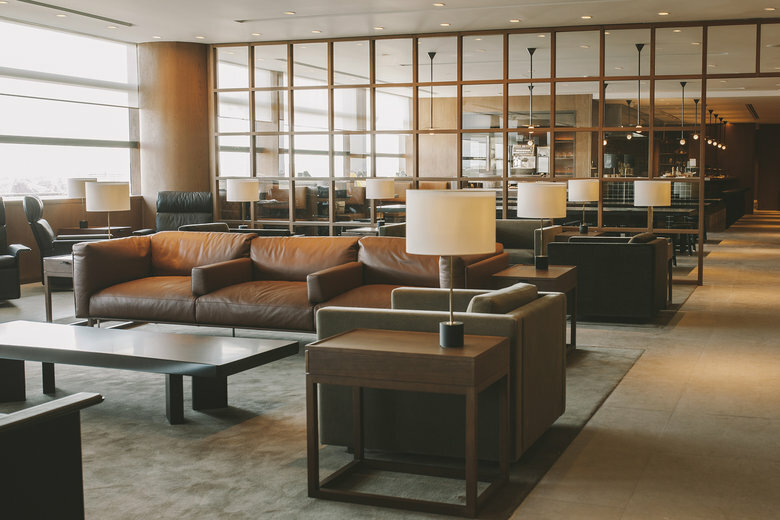 Similar to CX’s refreshed lounge at Tokyo Haneda Airport, which we visited last year (see here), design of the 650 sqm Manila facility was led by London-based Studioilse and represents the second lounge opening since the airline rejuvenated its brand (see here). 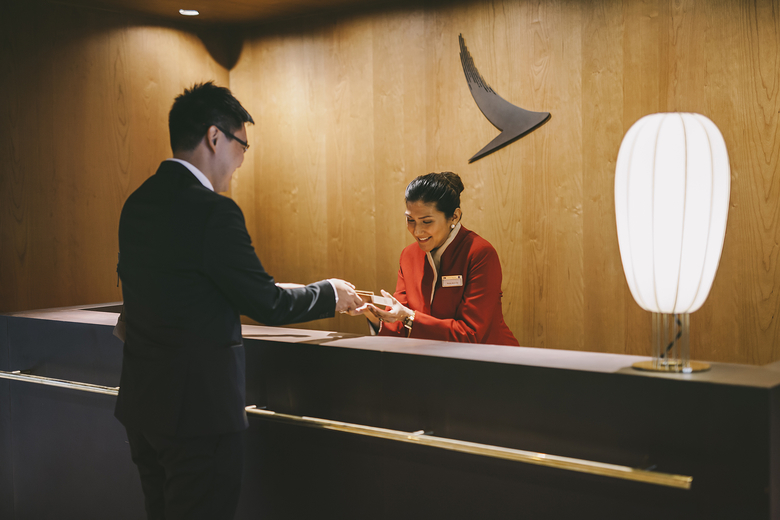 According to CX, warm colours and soft lighting help create a relaxing environment for passengers, while a focus on wellbeing is evident through the use of natural materials such as wood and stone. Large windows offer views of the tarmac while allowing natural light to filter through. Furniture is practical, and the Bureau work area features three workstations with iMacs and printers, while complimentary wifi is available throughout. 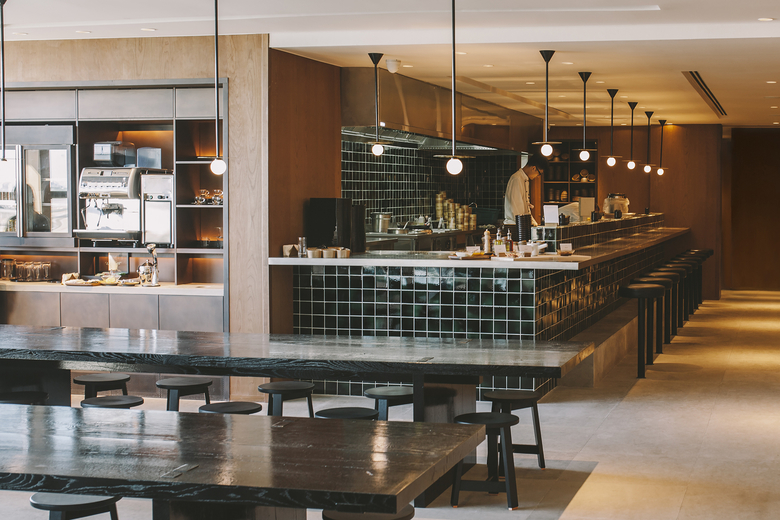 CX’s signature Noodle Bar concept has also found its way into the Manila lounge, and is clearly identified through its extensive use of flora, as well as artwork by local talent, said the airline. 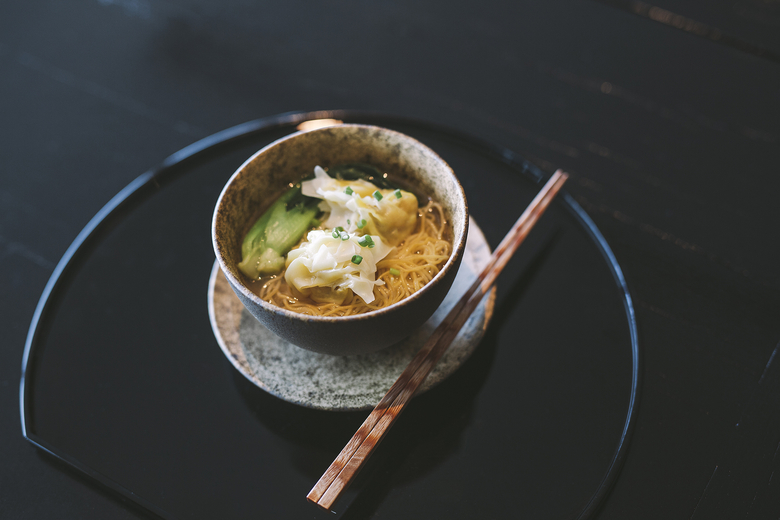 A selection of Asian favourites such as wonton noodles and dan dan noodles are available. The Bar serves a range of tapas, desserts and fresh cocktails, while early birds will also be able to sample an authentic Philippine breakfast until 11am. 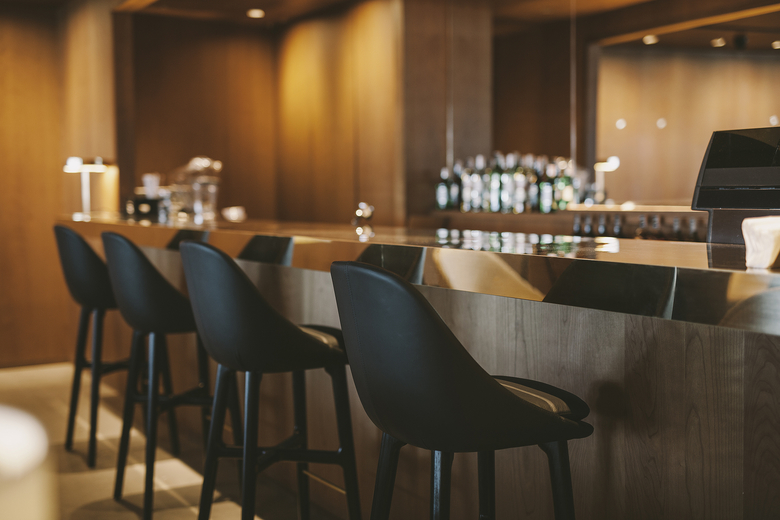 The lounge is located at Level 4 near Gate 114, and is open to CX first and business class passengers, Oneworld first and business class customers, Marco Polo members with Silver tier or above (when departing with CX or Oneworld carriers), as well as Oneworld Emerald and Sapphire cardholders.